Congratulations! You win 153 bonus points with this purchase! 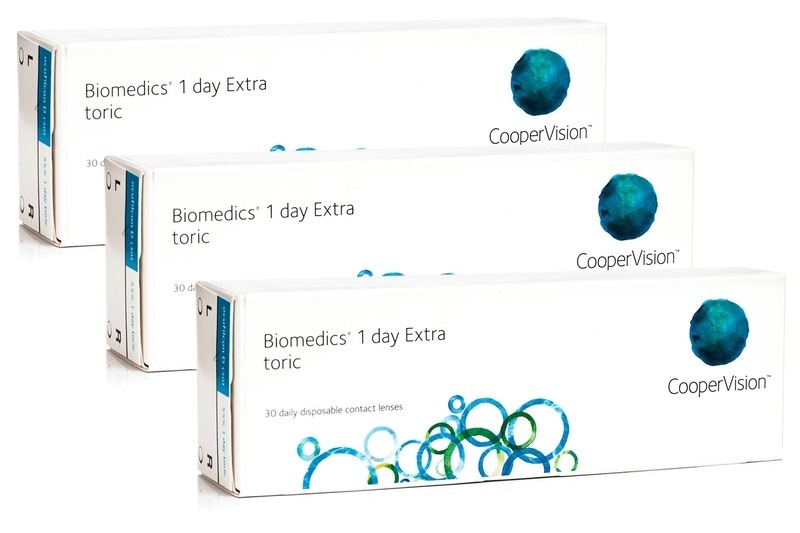 The perfect combination of comfort, convenience and great vision from CooperVision, Biomedics 1 Day Extra Toric contact lenses are changed every day so don’t require cleaning or the use of solutions. Advanced horizontal ISO thickness and a seamless surface allow the eyelid to move smoothly with every blink, and bring maximum comfort.